Not including the barren winter season, the gardening year is broken up into three seasons: spring, summer and fall. Each season has its own collection of vegetable varieties that grow best during its particular weather. Although many cool weather-loving vegetables are planted in early spring for harvesting before the heat of summer arrives, some of them should not be planted until June. These vegetables will grow during the heat of summer, but mature during cooler fall weather, which will make them more flavorful and also more suitable for winter storage. A root vegetable that grows well during the entire growing season, carrots should be planted every two weeks from early spring through late July, or even later in warm southern areas. As the weather warms during June, plant carrot seeds a little deeper than recommended on the seed package. This will help keep them cool and moist and protect them from being baked by the hot soil at the surface due to the intense summer sun in June. Beans love hot weather and should not be planted outdoors until all danger of frost has past. Beginning on the average date of your last spring frost, sow bean seeds every two weeks through mid-July. Because bush beans produce their crop all at once and some varieties mature in less than 60 days, they will have ample time to reach maturity before cool fall weather sets in. Pole beans take up to three weeks longer to mature than bush beans, but continue to produce until killed by frost and should be planted only in the beginning of June. Plant parsnips beginning in mid-June so they mature during the cool weather of early to midautumn. Their taste is much improved by exposure to a few light fall frosts, but if they grow too large before the first autumn frost, they will become woody. The trick is to plant them early enough in the season to give them ample time to reach their mature size, but not so early that they grow overly large. 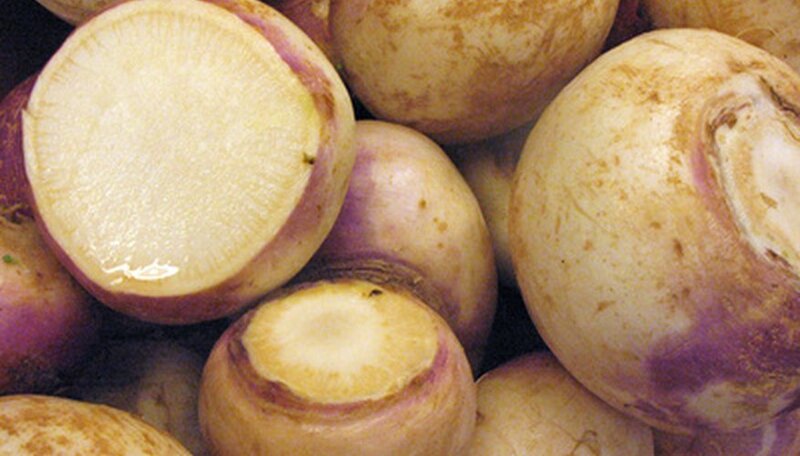 A cross between a turnip and cabbage, rutabagas are another root vegetable that should reach maturity during cool fall weather. They require up to 90 days to reach maturity and should be planted anytime during the second half of the month of June and into the first half of July. They will mature in midautumn, and their flavor will be greatly improved if they are exposed to a few light fall frosts. Fall cabbage is grown primarily for winter storage and requires 90 or more days to reach its mature harvesting size. Fall cabbages can be direct-seeded in the garden in early June or small bedding plants can be transplanted into the garden any time from June through early July. Although considered a cool-weather vegetable, fall cabbage grows well during the heat of summer. As with most fall-maturing vegetables, its flavor will be much better and sweeter if exposed to a few light fall frosts before harvesting. What Vegetables Should I Grow in the Winter in South Alabama? What Happens to Collard Greens After the First Frost?